My Norwegian Elkhound puppy Adele took some time this week to join me in New York City at the American Kennel Club to talk about our experiences in the 4-6 Month Beginner Puppy Competition. Now that she is 6 months old, she is practicing for the “big dog” shows. Enjoy AKC This Week, which shares buzz around recent and upcoming shows, news from the dog world, and interviews with members of the fancy. 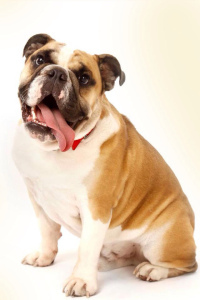 Many schools and universities use the Bulldog as their mascot, but Yale’s Handsome Dan was the original. The first in a long line of Handsome Dans came to Yale in 1889. He was immortalized in the “Bulldog” fight song, written in 1911 by undergraduate Cole Porter. The first Saturday of October when leaves turn gold and scarlet red and the air crisp, my thoughts always turn to riding to hounds and the start of the formal season. My first formal meet gathered at Greenfield Hill Church green, where some of the Fairfield County Hounds had assembled for a Thanksgiving Day hunt. 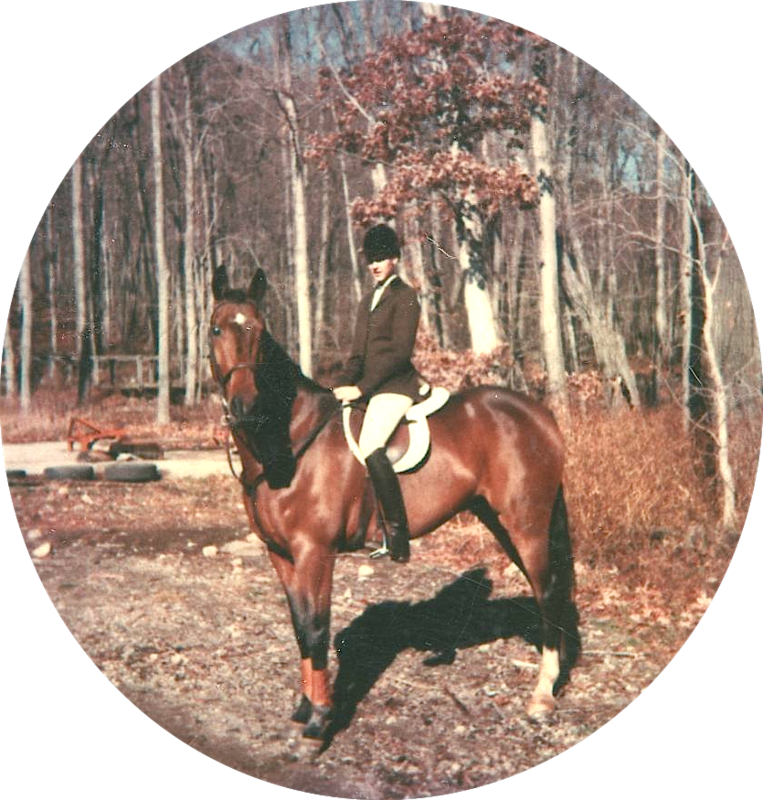 Donning formal attire, black hunt coat, white stock tie fastened with a gold pin neatly tucked under my chin and white knit gloves, I was aboard my chestnut pony Gingersnap. We took off to the sounds of the huntsman’s horn to his hounds. Soon we were galloping down country lanes, jumping stone walls and having a fine day on this “drag” hunt. 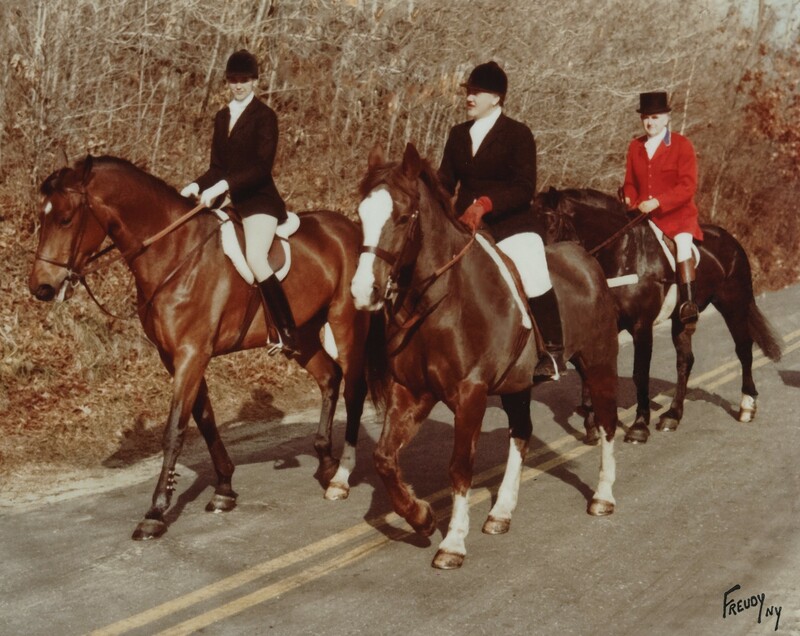 The pack had come down to Westport to reenact the hey day when they hunted the area from 1923 to 1968 when they left their home base of the Fairfield County Hunt Club to points north in Newtown, where the land was still open and wild. Two years later I went on my first authentic fox hunt in Newtown leaving from the kennels on Huntingtown Road, once again aboard Gingersnap. 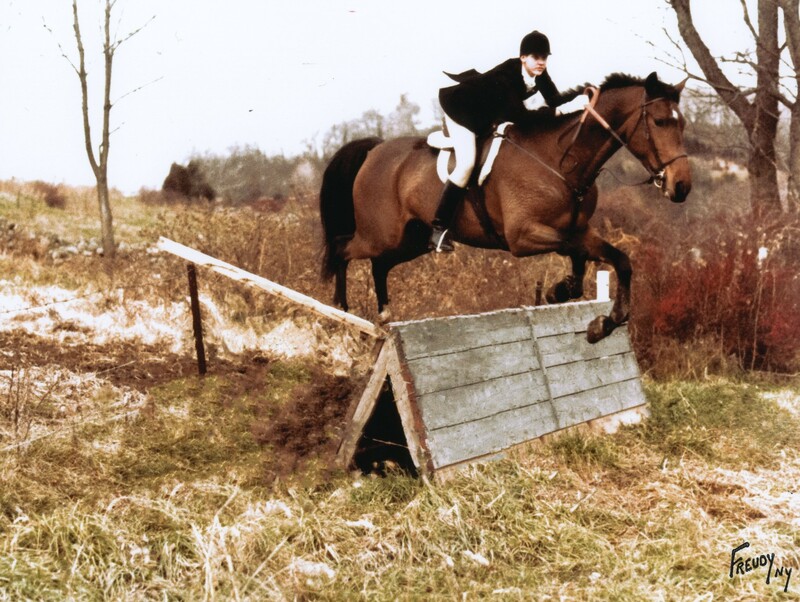 This thrill ride lasted hours, followed by a robust hunt breakfast and solidified my love of riding to hounds forever. 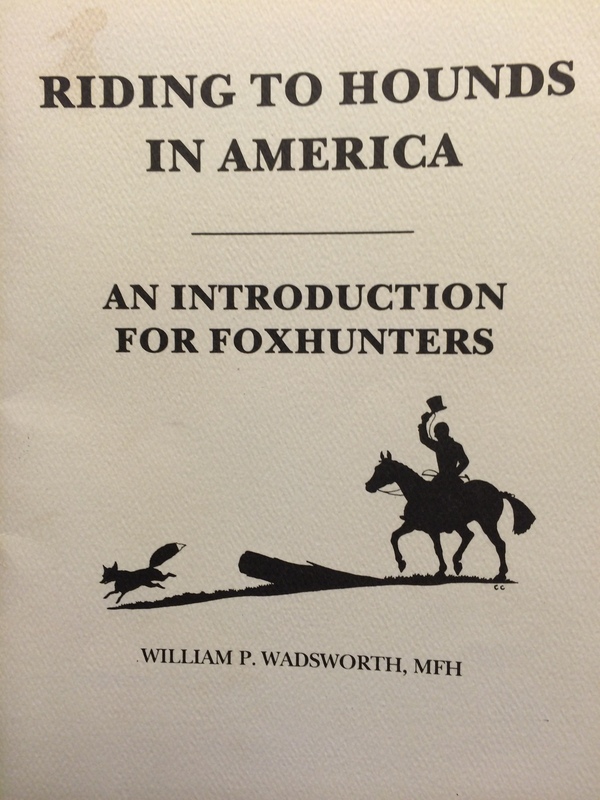 As part of my continuing education about this sport, I was asked to read “Riding to Hounds in America: An Introduction For Foxhunters.” This slim curious pamphlet was originally published in 1962 by the Chronicle of the Horse magazine. The chapters first appeared as magazine columns written by William P. Wadsworth, MFH (that’s Master of Foxhounds). Chapters include Preliminary Matters, Hounds, Organization in the Field, The Fox, The Hunting Day, Hunting Etiquette, and Glossary of Foxhunting Terms. I poured over every single one of the 47 pages until I was sure I could behave properly in the hunt field. It is beautifully illustrated with those amusing drawings by Custer Cassidy, depicting everything from ‘Most beginners who hunt are ‘over-mounted’’ to the ‘working hound’ and his friend the ‘loafing hound.’ It pages are filled with advice from, greet the Master with good morning, never point your horse’s hind end at the hounds, and keep away from the hounds, at least 10 yards. 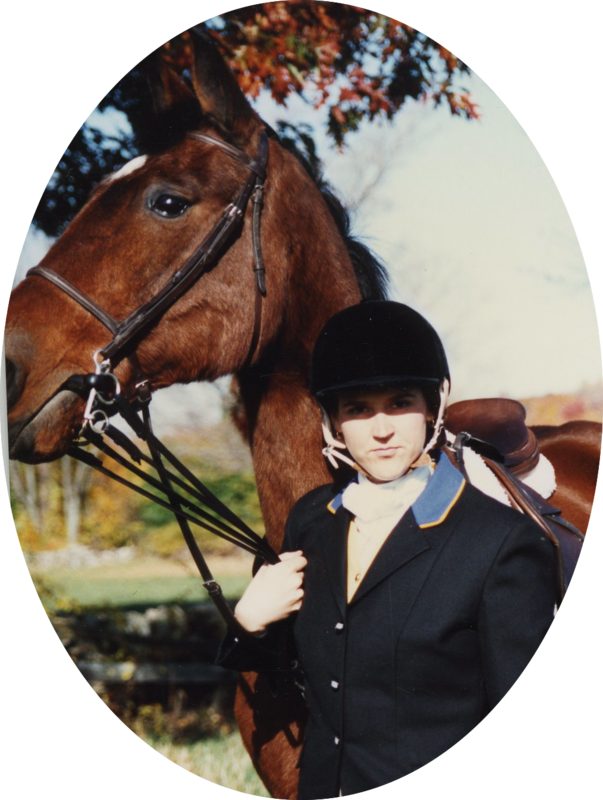 I was so enchanted by the sport, I wrote a high school paper about it, the book and earning my colors with Fairfield as a junior member aboard my by TB gelding Speculation. All sports have jargon, and riding to hounds is no exception. We all know that the fox carries his “brush” when he leaves his “covert” and has “gone away.” Listening to hounds “speak” while following the “line” of the fox as runs towards his “earth” is fun but sometimes the fox may “double back” to confuse the hounds whose “nose” has deceived them. But if a hound or a “couple” starts to “heel” they are making a backwards embarrassing mistake. Hounds must not “dwell” or “babble” or “riot” since they have shown they are hunting nothing or something they shouldn’t be. And the worst insult to a hound’s sensibility is to draw a “blank” or to “check” because the hounds have lost the “line” hopefully only temporarily. A hound “marks” the “line” and will “open” the first time he “gives tongue” but once hounds reach a full “cry” you know that they are on the “line” until they start “feathering” for attention that the quarry has been found. And, did you know, a hound will actually “honor” when he “gives tongue” on a “line” that another hound has been hunting? See how easy it is to speak fox hunt? And one final piece of advice from Wadsworth, don’t ever jump a “panel” on a “lark” as it will annoy the landowners.